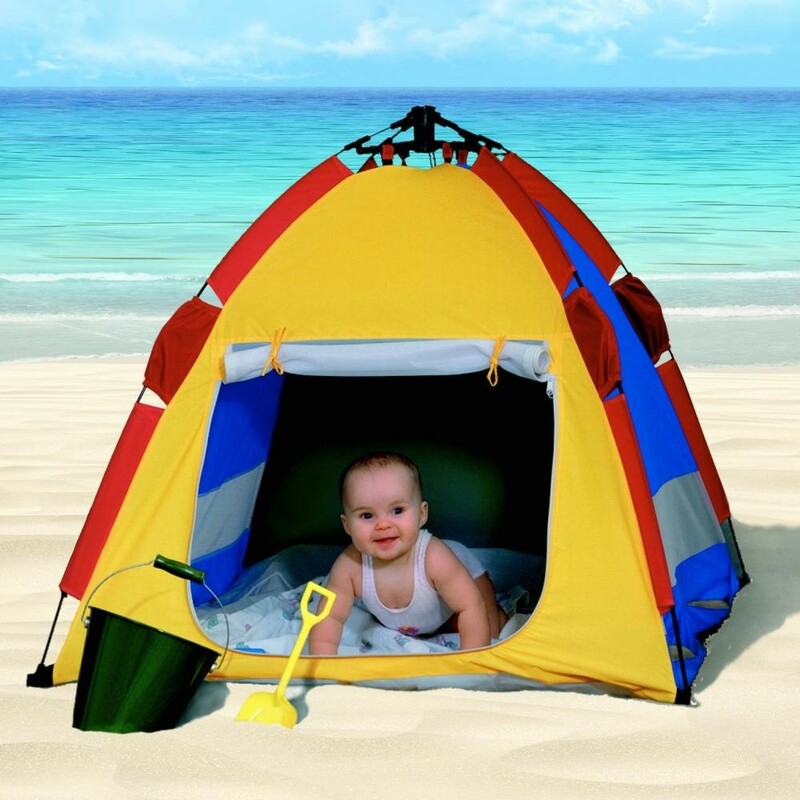 Keep Babies and Toddlers Safe From the Sun with the Kel Gar Sun Stopper Kwik Cabana Light and Compact to store, the Sun Stopper Kwik Cabana pops up in seconds to provide a roomy shelter for your baby from the sun. Excellent 50+ upf Sun Protection Easy to Operate - opens and closes in seconds thanks to the patented mechanism. Perfect for use in the Garden, at the park or on the Beach Ideal for Travel Spacious design when unfolded 89cms high x 99cms x 99cms Integral Floor Robust design Zippered Mesh front so ideal for baby's naps Carry Case included Compact folding - just 60cms x 11cms x 11cms when folded Very lightweight The Kwik Cabana isn't just for Summer! Because it has an integral groundsheet you can add balls to make a ball pit or Sand for a sandpit... you can also zip up the tent when play is finished to stop animals getting in.